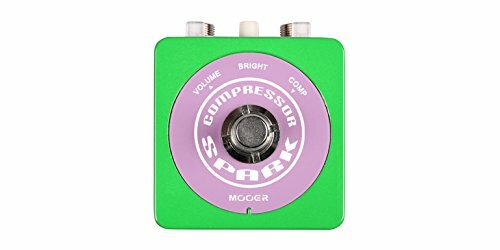 Modern compressor with low noise, super-linear buffer signal circuit and optocoupler delivers a smooth compression effect. Adjustable attack for maximum flexibility with various playing styles. Enjoys a compact size, further, the full metal case, and the special surface treating technology, making it has a long durability. Attractive lighting design. True bypass maximizes signal integrity when not in use. DC 9V adapter power supply.